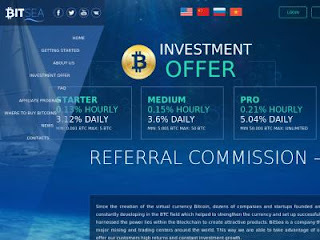 Since the creation of the virtual currency Bitcoin, dozens of companies and startups founded and have been constantly developing in the BTC field which helped to strengthen the currency and set up successful projects that harnessed the power lies within the Blockchain to create attractive products. BitSea is a company that owns both major mining and trading centers around the world. This way we are able to take advantage of our abilities to offer our customers high returns and constant investment growth.